Oh, the Places We Will Go . . .
Spring has been a very busy time for First Mountain. We spent the weekend of April 30th in Clayton, Georgia at the Celebrate Clayton event. It was wonderful to meet new people. Then we were back in Blue Ridge, Georgia for a return visit to the Arts in the Park on May 28th and 29th. We are very excited about attending a new event that we have been invited to. 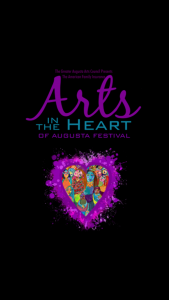 We will be at Arts in the Heart Of Augusta in Augusta, Georgia September 16th – 18th. This should be wonderful time. Should you be able to make it, please stop in and say hi. We love to meet our followers. Remember, we are social. Follow us on Instagram, Facebook and Twitter. Happy summer.